Mr. Maraia serves as the academic dean of the school across PreK-12 with a focus on four major areas: Curriculum, Instruction, and Assessment; Teacher Recruitment, Retention and Development; Student Support Services; and Accreditation. 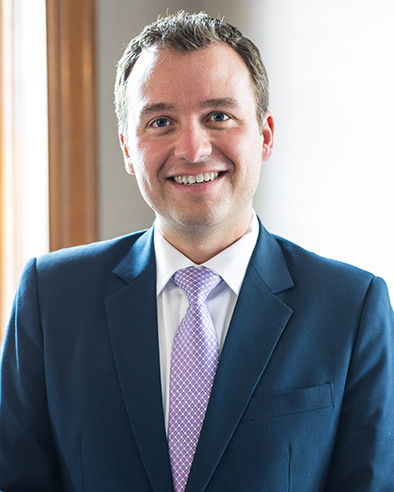 In partnership with the Head of School, divisional leaders, and department heads, Mr. Maraia leads the development of curriculum to best support measurable student outcomes and Léman's mission, vision, and values as an International Baccalaureate school that equips students to be global citizens. Since joining Léman in the 2013-14 school year as Head of Curriculum, Instruction, and Assessment, Mr. Maraia has advanced the learning experience at Léman in the Middle States accreditation review process, the curriculum renewal cycle, and English language and student support services. He was named Assistant Head of School in January 2016 and in 2017, he took on the additional responsibility of Head of Lower School, where he leads the academic program for grades 1 through 5, focusing on developing children's skills in reading, writing and mathematics, and building fluency across fine arts, science, and world languages. Working collaboratively with the Upper School Leadership, Mr. Maraia also spearheads the transition process to Middle School to support the academic, social and emotional success of every child. Prior to joining Léman, Mr. Maraia was a curriculum consultant and staff developer at the Teachers College Reading and Writing Project at Columbia University where he consulted in private and public schools across New York City, the United States, and around the world. Previously, Mr. Maraia taught English at the Clinton School for Writers and Artists. He is a frequent presenter at national conferences and universities on curriculum and instruction. He received his Bachelors from Skidmore College, followed by a Masters in English Education and Educational Theatre at New York University, and a Masters in Educational Leadership at Bank Street College of Education. Currently, Mr. Maraia is a doctoral student in Educational Leadership at the University of Pennsylvania.